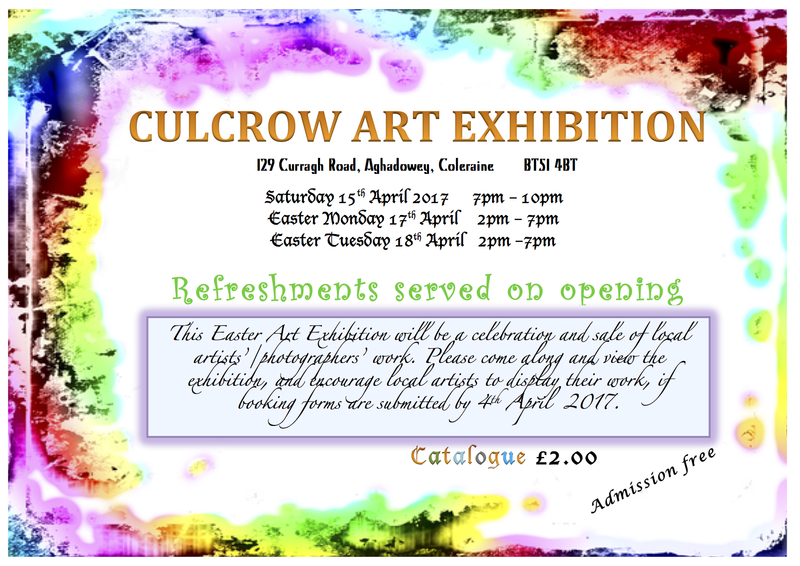 Art Exhibition will be running from Saturday 15th April to Easter Tuesday. It opens at 7pm on the Saturday evening, with canopes and sparkling summer fruits drink. Artists can still submit work (we have around 20 spaces to date). If you know of anyone who would enjoy the exhibition of local art, photography, ceramics and textiles, please invite them to attend. It runs from 2-7pm on Easter Monday and Tuesday. Pieces will be for sale and PTA receive 20% commission on each piece sold.